Smart wants you to be worry-free even when you leave your home through TCL Life Home Monitoring Kit – a smart home solution that helps users to keep their home and family secured in an affordable way. 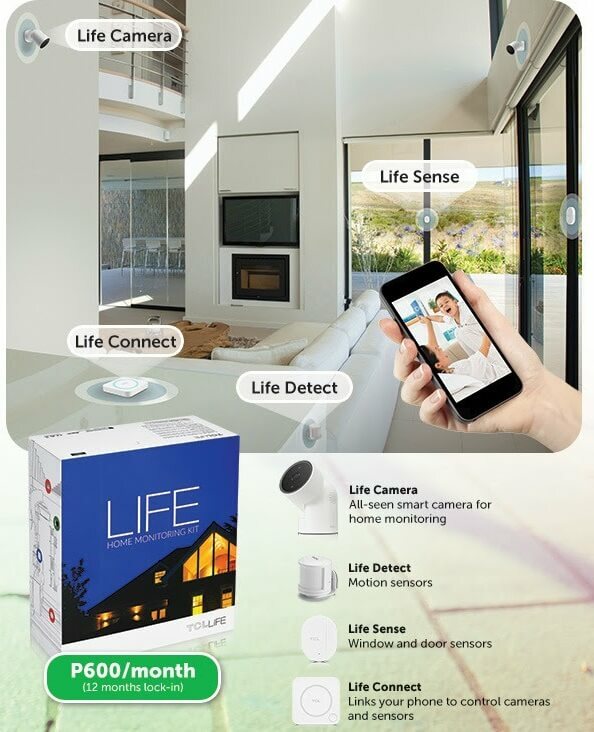 The Life Home Monitoring Kit comes with an all-seen smart camera for home monitoring (Life Camera), motion detector that alerts users to any disturbance (Life Detect), and window and door sensors (Life Sense). It also connects your phone to the cameras and sensors via Life Connect, so users can control the kit. For 12 months, consumers just have to pay PhP600 per month to protect their home with TCL Life Home Monitoring Kit. It is best bundled with GIGA SURF 499 that includes 3.5GB of mobile data, as users can control the monitoring kit through the Life App. To get your own TCL Life Home Monitoring Kit, dial *888.